Frank Yiannas has spent years looking in vain for a better way to track lettuce, steaks and snack cakes from farm and factory to the shelves of Walmart, where he is the vice president for food safety. When the company dealt with salmonella outbreaks, it often took weeks to trace where the bad ingredients came from. Then, last year, IBM executives flew to Walmart’s headquarters in Arkansas to propose a solution: the blockchain. Blockchain, the encryption protocol backing Bitcoin security is deployed for supply chain security. 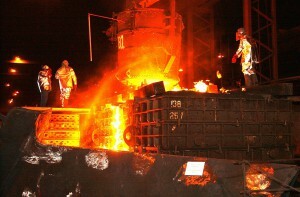 Modern manufacturing as well as food production is often spread across a wide network of suppliers around the world. All major companies from Ford and Toyota to Nike and Walmart hire third-party certification services both to monitor quality standards and working conditions with suppliers. Nike never wants their shoes made by untraceable factories using low-quality materials, nor face news stories of Nike subcontractor factories with unsafe working conditions. Similarly Walmart and other companies selling food want to certify standards and safety from the original farms, through processing and distribution. Blockchain provides an accounting system that makes it hard for later links in the supply chain to falsify earlier links (to hide low-cost unapproved suppliers, for example). For Maersk, the problem was not tracking the familiar rectangular shipping containers that sail the world aboard its cargo ships — instead, it was the mountains of paperwork that go with each container. Maersk had found that a single container could require stamps and approvals from as many as 30 people, including customs, tax officials and health authorities. …The cost of moving and keeping track of all this paperwork often equals the cost of physically moving the container around the world. Shipping fraud leads to food safety risks for companies like Walmart (and, of course, for customers). FDA and USDA food safety agencies, apart from turf fights with each other, are challenged by incentive, information, and budget issues. The U.S. Senate has voted to shut down the nation’s only catfish inspection program, a move that would put more Americans at risk of exposure to carcinogens and antibiotics from Asian white fish, such as Vietnamese pangasius. …If it passes the House, it would still have to be signed by President Obama before the U.S. Department of Agriculture (USDA) catfish inspection program would be shut down. If that happens, catfish would likely revert back to the U.S. Food and Drug Administration (FDA), where only 1 to 2 percent of seafood imports are inspected because of budget constraints. Maybe we’re too inclined to believe the worst about supermarket food. How else to explain the reaction to a recent report about honey on the web site Food Safety News? Food Safety News is published by a lawyer who represents plaintiffs in lawsuits against food manufacturers and processors. The article implied that this was part of a deliberate attempt to prevent anyone from detecting illicit honey from China. (The United States blocks imports of Chinese honey because U.S. officials decided that it was being sold at artificially low prices, undercutting American honey producers.) Schneider also reminded his readers that Chinese honey has had a history of safety problems, including contamination with banned antibiotics and lead. This 2011 NRP story is valuable for its in-depth research on the honey industry, and gives a glimpse of the way many food safety scares (and lawsuits) develop. One avenue to incentivize companies to keep food safe is to avoid expensive litigation and awards to customers hurt by unsafe food. Bad publicity provides a powerful incentive as well, as Chipote management and stockholders learned recently. Most of economics is about incentives, and it is an open debate whether food safety regulations, potential litigation, or fear of bad publicity plays the larger role in maintaining and improving food safety. Critics of the FDA and USDA regulatory approach focus in agency incentives. Government agencies suffer from incentive and information problems that slow innovation and hamper alternative food safety systems. Students have an opportunity to research the dozens of food safety certification systems that have developed to protect consumers. Even the Grocery Manufacturers of America are in support of doubling the FDA’s food safety budget, in light of the recent food scandals.Rep. Kingston also claims the high level of food safety is due to the private sector without the “nanny” state. “That’s the private sector working,” he’s quoted as saying. According to the article, increased federal funding for FDA and USDA inspectors could save lives, and those who say the private sector can “self-police” to keep food safe are living in a fantasy world. However, today’s food industry relies on independent food safety certification organizations. These are generally NGOs (non-government organizations) that are in compliance with regulatory agencies like the FDA and USDA. Due to complex challenges in today’s food supply chain, many of the world’s largest food retailers are mandating supplier certification to Global Food Safety Initiative (GFSI) schemes, which include SQF, BRC, IFS, FSSC, GLOBALG.A.P. and BAP and CanadaGAP. So Third-Party Certification is key. Big grocery chains like Kroger and Safeway would like to believe the farms and food-processors who deliver food to their shelves each day have clean and modern facilities with strict procedures to keep equipment clean and free of microbes. However, the food industry runs on “trust, but verify.” They can’t afford to just believe what suppliers claim nor can most afford to hire their own inspectors to investigate each supplier. Companies can’t just rely on government agencies like the FDA or USDA since they can be sued when customers are hurt even when they comply with federal regulations. FDA and USDA tend not to be up to speed with the latest technologies and data analytics. So, instead, private sector firms rely on certification. 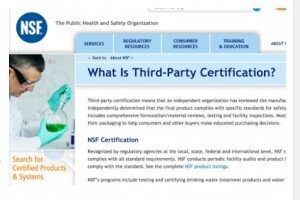 Here is the NSF page: What Is Third-Party Certification? Much has changed in the Middle East over the last twenty years. Israel’s economy has shifted to more open and less socialist, and average income has increased. The Israeli government still controls much of the economy and subsidizes money-losing firms, but a vibrant tech sector is home for hundreds of innovative startups. 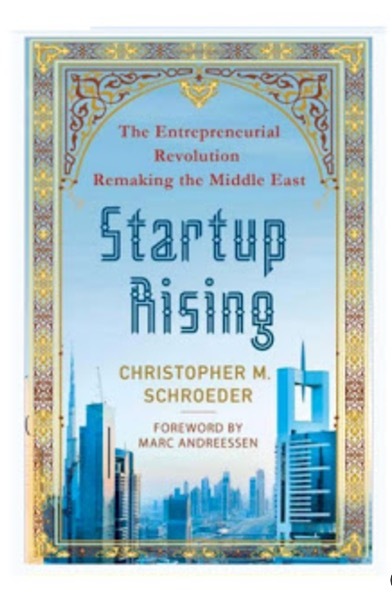 Christopher Schroeder’s Startup Rising: The Entrepreneurial Revolution Remaking the Middle East gives a glimpse of what to expect as venture capital first supports dozens, then hundreds, and soon thousands of Middle East entrepreneurs from the Palestinian territories to Jordan, Lebanon, the UAE, Egypt and countries now in turmoil. 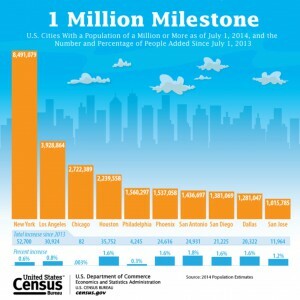 Imagine the Middle East with millions carrying hand-held computers. That’s not some distant utopian tech future but today in the Middle East. For the over 75 million people in Turkey, nearly 90% have cell phones. Cell phones network friends and relatives, speed business communication, and allow access to news and information from the outside world. In 2001, when Save the Children wanted to launch a version of Junior Achievement in Jordan, they asked Salti to be country director of what they called “INJAZ Jordan,” or Jordan Achievement. Holding her freshl y minted MBA from Northwestern, Salti accepted, eager to return home and make an impact. She later would found a regional INJAZ office to spread the model across fourteen countries in the Middle East. INJAZ was one of the earliest “private public partnerships,” as they are commonly called today. Salti and her mother started with a USAID grant that matched contributions from local businesses, and chose schools in conjunction with the Ministry of Education. Their goal was to hold additional classes at the end of each day to not only supplement education, but also to focus on job-related skills and to push kids to think about entrepreneurship and develop their own ideas. Their first volunteers were friends and family, and they soon began to recruit local business leaders and their staffs to mentor and train local youth in after-school programs. Junior Achievement in Jordan also teaches entrepreneurship to you ng people. Junior Achievement Middle East and North Africa on their JA website. Segment from a Milken Institute panel with Christopher Schroeder. Instead of–or in addition to–advocating a two-state Israel/Palestine, U.S. policy could encourage technology entrepreneurs across the Middle East. The U.S. could promote reduced barriers to funding new enterprises and development and marketing their products. Better policies would encourage employment and boost technology firms. Reforming broken or outdated U.S. policies helps promote prosperity in the Palestinian territories and across the Middle East. Opposition to Israeli policies unites Palestinians, but like other Middle East/North Africa countries and territories, tribal conflicts make democratic reform difficult. Would a future Palestinian state develop into a peaceful democracy, a seething tribal conflict, or something in-between? “7 Things to Consider Before Choosing Sides in the Middle East Conflict,” (Huffington Post, July 28, 2014), was written during the 2014 Israel-Gaza conflict. The author is critical of both sides in the conflict, but concludes a two-state solution is needed. The author notes a “tribal” conflicts in that Jewish people support Israel and Muslims side with Palestinians. The third clan-like grouping in Palestine in the urban elite notable family, a social formation typical throughout the Arab lands of the Ottoman Empire. Many of the most well known and prominent Palestinian families come from this notable, or a’yan, social class: Husayni, Nashashibi, Dajani, Abd al-Hadi, Tuqan, Nabulsi, Khoury, Tamimi, Khatib, Ja’bari, Masri, Kan’an, Shaq’a, Barghouthi, Shawwa, Rayyes, and others. These are extended families that dominated Palestinian politics until the 1980s, and are still relatively prominent today. For the March Public Forum topic, “Resolved: The United States should no longer pressure Israel to work toward a two-state solution,” all sides in any debate should be familiar with the role of tribes, clans and “notable families” as oligarchs across the Arab world. Critics of U.S. politics can also point to notable American families: from the Rockefeller, Ford, and Kennedy families of the 1900s, to more recent families like the Waltons (of Walmart), Kochs (oil, chemicals), Mars (candy), Cargill-MacMillan (grain), Cox (media), and Johnson (cleaning products). Here is Forbes 2016 gallery of richest families). (More recent notable families in politics would include Bush and Clinton families, and now Obama and Trump families). More than two-thirds of this year’s Forbes 400 are self-made billionaires. That’s 266 out of 400 who can say they built their fortunes from scratch. Among the self-made group are eight of the nation’s 10 richest, starting with the top three, Microsoft cofounder Bill Gates, Amazon CEO Jeff Bezos and legendary investor Warren Buffett. Top-down political control is far greater across Middle Eastern countries where oligarchies hold political and economic control. Intermarried military, political, religious, and business elites make and enforce regulations that govern countries from Iran to Egypt. These elites take positions in government enterprises and bureaucracies and find similar positions for relatives. Efforts to remove oligarchies ruling in Libya and Syria led quickly to violence as tribal groups battled for regional and national political control. In a report in the Middle East Journal of Family Medicine, Dr. Aida Al-Aqeel, pediatric geneticist and endocrinologist at Riyadh Military Hospital, wrote, “ In Saudi Arabia like other Middle Eastern countries, first cousin marriages account for 60 – 70% of all marriages, leading to uniquely common disorders which are either rare by Western standards or are unknown. Apart from health issues, intermarriage within and among leading families makes for powerful oligarchic control. 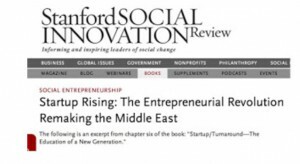 Entrepreneurs outside the ruling families find access to investment capital and government permits difficult, plus face heavy regulations (the initial source of Arab Spring protests). Amid provocative images of the Arab uprisings of 2010 and 2011, De Soto introduces the people and events that recently rocked the Arab world… it was his similarity to the 180 million informal Arab entrepreneurs; many of them under 30 and computer literate. Over 100 of them followed Bouazizi in acts of self-immolation. A 2011 Freeman article, “The Roots of Egypt’s Revolt” reports on the history of Egypt’s oligarchic economic system (link to pdf handout). U.S. policy toward the Middle East has for decades helped maintain Egypt’s corrupt political and economic system. Consider: “United States has given the Egyptian government over $2.1 billion, including $1.3 billion in military aid, every year since 1980.” The Egyptian government is funded by tourism, the Suez Canal, and U.S. aid. That money flows to oligarchs who control the economy. The ideal of citizens controlling a country through voting, critics argue, won’t solve America’s problems, won’t bring peace or prosperity to the Middle East, and won’t reduce terrorism around the world. Voting can give people a say in their government. 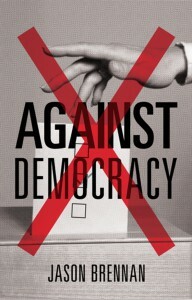 But constant elections and ever-changing constitutions add uncertainty and keep societies politicized. The powers Constitutions give to governments are key, and each new government shouldn’t be able to draft its own constitution for majority vote. Egyptian President Morsi had his 2012 constitution approved, replacing a 2011 constitution passed after Mubarak was removed from power. Then in 2013 the Egyptian military suspended the 2012 constitution, ousted Morsi, and had a new new constitution passed in 2014. Constitutions that can be so easily altered and replaced do little to limit the size and scope of government power. The U.S. purple-finger policy for Afghanistan, Ukraine, and the Middle East pushes people to vote and by their vote be obligated to submit to those elected. This is dangerous for tribal and clan-based countries. Kenya has some 42 tribes and when political parties were made legal, soon has 42 political parties. In his recent speech before the National Endowment for Democracy, President Bush pledged that the United States would embark on a decades-long commitment to bring democracy to the Middle East. But democracy is not a gift President Bush can bestow on people in distant lands. Although the goal is laudable, the Bush administration will be disappointed with its effort to establish a stable liberal democracy in any Middle Eastern nation. That’s the verdict rendered by history, the contemporary reality of the region, and our own government experts. Today, the Middle East lacks the conditions, such as a democratic political history, high standards of living, and high literacy rates, which stimulated democratic change in, for example, central Europe and East Asia. Ironically, many Arab countries are ruled by authoritarian leaders who are more liberal than the citizenry they lead. People should have a say in their governance, but not a say in how other people’s lives should be governed. Richard Pipes in Property and Freedom points out that governments were considered just when they enforced the laws already existing in society. Grotius and other legal scholars emphasized that society was not the state, and the state’s legitimate reach did not extend to private life, liberty and property. These views of just government were debated and advocates of aristocratic divine rule and absolute authority for English kings lost that debate. When the candidate from one ethnic group or tribe loses, so does the entire ethnic group or tribe. All of a sudden they lose subsidies and their protection from complex and detailed regulations. 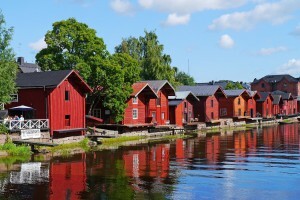 When their politicians are out of power, police and other government officials see their property and businesses as fair game for exploitation or expropriation. When we in America hear news from abroad of “ethnic unrest” or “tribal conflict” it is usually between those in political power and those out of power. Economic freedom is the key to peace and prosperity in the Middle East. Democracy can as easily fuel conflict as contribute to stable governance. Voting should be for deciding who will run the government, but not for what the government will do once in power. Constitutional economics is all about limiting government authority so that voting doesn’t turn into a war of all against all, of each ethnic, tribal, and regional group against all others. Across the Middle East, fast population growth crashed into closed economies where elites control jobs in government and connected businesses, while majorities struggle to make a living in the informal sector. By “informal” we mean they work in enterprises without business permits. They live in houses their families may have lived in for generations, but they can’t get title for the land under their home. Life is insecure because livelihood is insecure. Only elites in the oligarchy have access to the formal legal system. Because the U.S intervention in Iraq wasn’t able to promote economic freedom there, and secure opportunities for everyday people to start business enterprises, Iraq continues to be a failed state. Megan McArdle’s Atlantic article reports on the lack of economic freedom in Iraq. 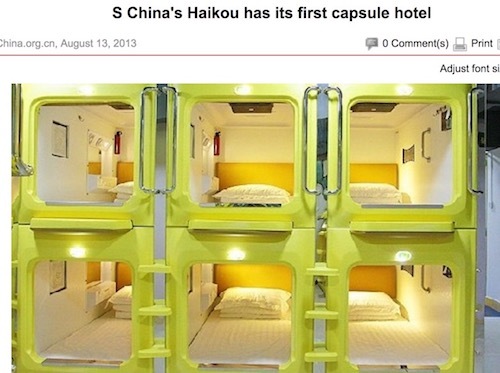 McArdle’s blog post on the story is here. All this helps explain why so many ordinary Egyptians have been “smoldering” for decades. Despite hard work and savings, they can do little to improve their lives.